The driver was not a quiet man. All the way to the hotel he talked about how bad the situation is for immigrants in Italy. It made us nervous at first, but we soon forgot about his statements. The hotel charged three euros per night so we booked a room for a couple of nights. Like always, I called my family as soon as I got to a safe place to rest. Gholam had a brother in Korinthos, so after staying a few nights in Athens we headed to Korinthos. Gholam’s brother welcomed us warmly but I could not stay as my goal was Italy. After a week of home-cooked food and sharing stories I left for Patras. I felt both great relief and trepidation on arriving in Patras. Patras is a city where many migrants wait to be smuggled to the other countries in Europe, but first they must go through Italy. In Patras there is a big, beautiful bridge called the Rio. The Rio Bridge is built over a wide river pouring into the sea. I could see how the Rio River joined the ocean. The gloriousness of the river drew me in and I forgot for a moment that I was homeless and alone. I have loved the memory of that view ever since my trip to Europe. Gholam’s brother gave me the name of someone who told me where I could stay in a tent made of wood and plastic located near the port. The wood was rotten and the plastic smelled of urine. Eventually I made contact with Aref Tarkan. Aref was an infamous smuggler who was known for smuggling mostly Pashtoons across borders. He was a fat Iranian in his middle 40s with a beard and mustache. He asked me to pay him 3,000 euros! Ha-ha. This was a very high price for me and I could not afford it so I refused to go with his group. I stayed in Patras for a lonely week. I had no place to go and nights were chilly. I bought a sleeping bag for ten euros to save me from the cold. During the days I walked in the streets. I did not know the language but I could speak broken English with pedestrians to ask for directions. Sometimes I walked by the coast, thinking how to get out of Greece. Watching the sunset always relaxed me. I was actually fortunate that I had remained in Patras. One night I was so tired and it was so cold that I decided to sleep in a kiosk that was no longer in use. The kiosk had to be better than the tent. Later that night police came and aggressively pulled me out of the kiosk. I cursed the whole world. I was in a really bad mood so I decided to walk to the train station figuring that there had to be a warm place to sleep at the station. By chance, at the train station I saw Omid, an old friend from Iran, who had just arrived in Patras by train. Omid was looking for a way into Europe. We decided to go together to check the situation in the port. Climbing over several fences near a coffee house we entered what we thought was an unguarded portion of the port. However, we discovered that we were in a section of the port that had four trucks that were guarded by two guards. Sitting in the dark we waited patiently for the guards to go on a coffee break. After several hours the guards left. As we walked around the trucks I found another truck parked further away from the four trucks that were being guarded. Trying silently to open the back of the truck Omid and I held our breath. When we opened the door of the truck we discovered it was full of oranges. Ha-ha… suddenly something came to my mind. 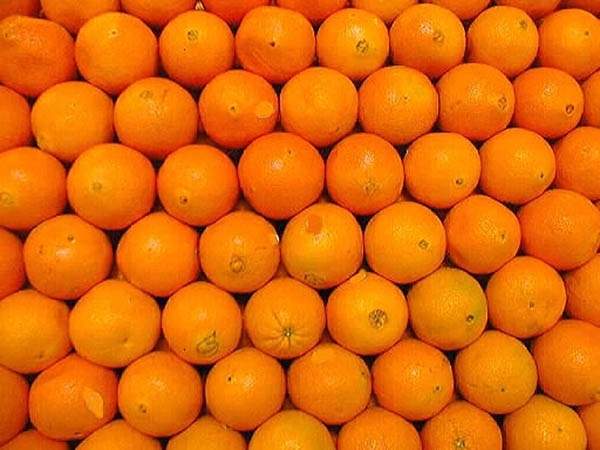 I had heard that some people had hidden themselves underneath oranges. Omid and I jumped into to the truck and tried to find a way to hide underneath the crates of oranges. We hadn’t closed the door when a smuggler showed up and tried to put a guy under the cargo. Knowing that sometimes smugglers cram 10 to 15 persons into a cargo truck I abruptly stuck my head up and yelled at him: “There is no more space! We are too many here.” The smuggler believed me and just left the young guy with us. Then he closed the door. Thank God, that guy saved our trip to Italy! The cargo in the port was transported by ship to Italy. It was about 10 o’clock in the morning when the cargo in the truck was picked up and put into a freight container and loaded onto a ship. How strange it is that your odyssey towards Freedom and Peace, in its five parts to date, should bring forth so few comments! Peace is the most exorbitantly expensive of commodities and the most highly misunderstood. When I have read your five chapters I will post again. Thankyou.